I know what you're thinking, this is never going to happen, it doesn't make any sense. Why would the holy and mighty Urban Meyer come to the lowly American Athletic Conference team University of Cincinnati? Well sit yourself down and prepare yourself. I'm about to throw you a curveball of logic. Please DM this story to @OSUCoachMeyer, @ him on Twitter, do whatever you need to get him to see this. And Urban, if you're out there, I know you're reading this. I know you're imagining it right now, you're entertaining the idea. 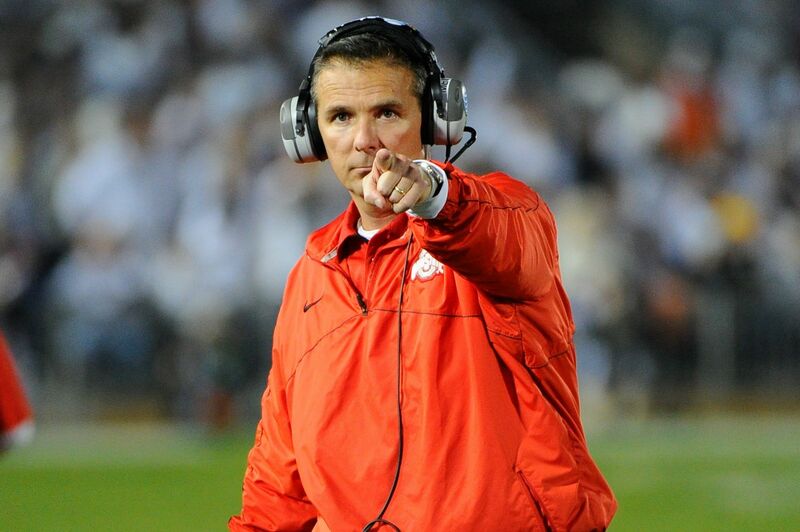 There's a little voice in the back of your head saying "do it, Urb, what are you waiting for?" What are you waiting for Urb, do what makes sense. Come home. On July 10, 1964, a small miracle happened in Toledo, Ohio. Urban Meyer was born. He would go on to play defensive back at the University of Cincinnati, and graduating there with a degree in Psychology. Would you look at that. Urban was a Bearcat before he was Buckeye. And once a bearcat, always a bearcat. Why would Urban not want to come back to his alma mater and bring glory to the school that gave him so much? Being the head coach of the Ohio State Buckeyes has to be one of the most stressful jobs. Urban has so much pressure from one of the biggest most passionate fan bases in the country. In a ranking system where losing one or two games can boot you out of playoff contention, Urban has to win every game and he has to win them big. And if Ohio State doesn't make it to the playoffs it's a disappointment, do you know how hard it is to make it to the playoffs? Why deal with all that stress Urban. At UC, we have no expectations. Everyone comes here to prove themselves and then leaves to go to bigger schools. Brian Kelly gave us a glimpse of real football and then abandoned us. Butch Jones came in, gave us three solid seasons, and darted. And now were stuck with Tommy Tuberville, who has had UC on a steady decline and surely only has one more season to save his position before he gets canned. But Urban, you've already got success. You don't have to prove anything to us, we already know you're good. You don't have to win a National Championship right away, we just want a winning season, maybe a bowl game. That's all we want right now. Please, help us. You've already dominated the SEC and the Big 10, so the AAC will be so easy to win. The only real competition is Houston and we almost beat them ourselves with barely-okay Tuberville. You'll breeze right through the AAC and get us in the top 10 easily. It's gonna be so easy Urb, trust me. Hell, we get good enough they might finally move us to another conference with some real competition. Look, UC doesn't have a lot of legends. We've got Benadryl, William Taft, and George Clooney went here for like a year, and that's about it. You could be a legend here. They will build statues of you, name buildings after you, whatever you want. You bring a Championship to this city, you'll be it's savior. Cincinnati sports are in a ridiculously lousy period. The Reds are hot street trash at the moment and the Bengals lost 5 straight opening round playoff games and are struggling to win 5 games this season. The best sports team in Cincy right now is a minor league soccer team. If you made UC football relevant again, you could give the whole city something to cheer for, something to be proud of. You could be the savior of Cincinnati. I can see the movie script writing itself. Big multi-champion football coach comes back to his alma mater to take its football program from the depths of mediocrity, to the front stage of a National Championship game. How insane would that be? Something no coach has done before, coming to a nobody football program and making it a top 5 program in the nation. It'd be one of the greatest storylines in College Football History. You've had first hand experience with the high school football around the Cincinnati area since you were a coach way back for the St. Xavier Bombers. And although I went to Colerain and St. X is literally the worst, they are both amazing football programs with multiple state titles under their belts, with St. X just now winning the D1 State Title as I'm writing this (but forreal Go Cards). One of Colerain's best head coaches, Kerry Coombs is actually on your staff right now. Also lets not forget La Salle, who has won 3 consecutive D2 state titles. The high school talent here in Cincinnati is top-notch and you could pull some great players and keep them in their hometown. Also UC is still a great school for students from other states too. We're not looking for another ten years here, just a few seasons to get things going again, maybe a championship here or there. Then you can go out knowing you raised an entire city to college football greatness. You can retire at like 59-60 and live out the rest of your years with a bank full of cash and no regrets. You could potentially go down as the greatest coach in College History, dominating with Florida, Ohio State, and UC. Who else has made championship programs out of three different schools? You Urban, that's who. So Urban, here's where we are. I've presented the evidence, and it's crystal clear. You need to come coach the University of Cincinnati. I know it's a lot to think about, but you need to decide soon because I'm gonna graduate in 3 years so don't take too long. If you have any doubts or any questions, please DM me @TheTaulbster. I'll be waiting.